and begin to follow your dreams. Your dreams better be on that to do list ! There are always a lot of things to do. Many people write to do lists, but not as many actually get those to dos done. So what is the secret? How does a to do list get done? The first thing to recognize is that there will always be a to do list. The goal is not to be the first one finished, the goal is to have new generated lists that continually get done. Life is very demanding and these demands can really pile up. If you see something on your list that wont budge, ask yourself how important it really is. Chances are you are avoiding it for a reason, so either take it off your list, challenge yourself, or enlist a friend to help you. Here are 3 simple steps to get your to do list done. 1. 1. Sort your life into categories. Write down as many things as you can into each category. I highly reccomend using a 5 subject notebook or binder to help keep your lists and notes organized. 3. 3. 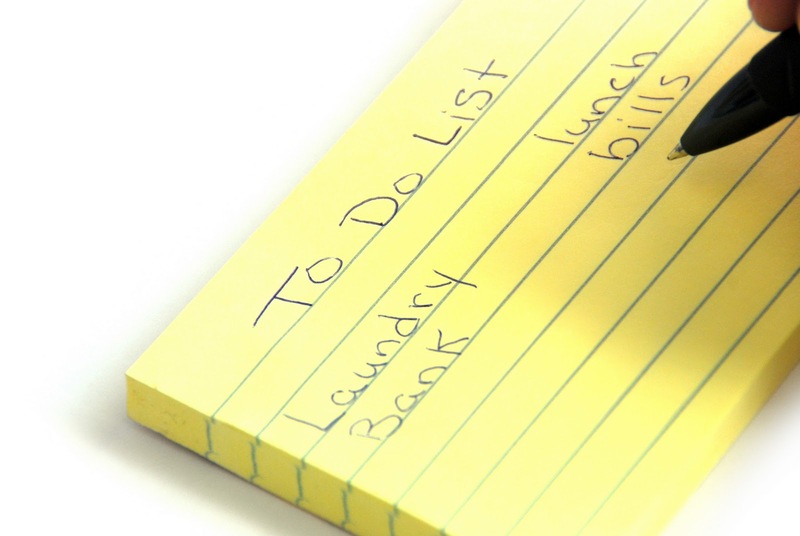 Keep a balanced week by getting at least one thing done from each list weekly. Try to designate specific days to a category. For example “Me Mondays” Do something for yourself every Monday, I can’t think of a better way to start the week. Pick a day to do food shopping and reserve one morning a week to help a friend. On weeks that are less busy try to get one task from each category accomplished daily. Get in the habit of writing a weekly to do list using your categorized lists, pull one task from each list every week.